HERE, Google and TomTom continue to lead the location ecosystem effectiveness index, as of H1 2018. The market is evolving rapidly with key firms embracing data analytics and open partnership models to enable real-time location intelligence. Players such as Mapbox, Telenav are rapidly challenging the established platform with unique offerings. 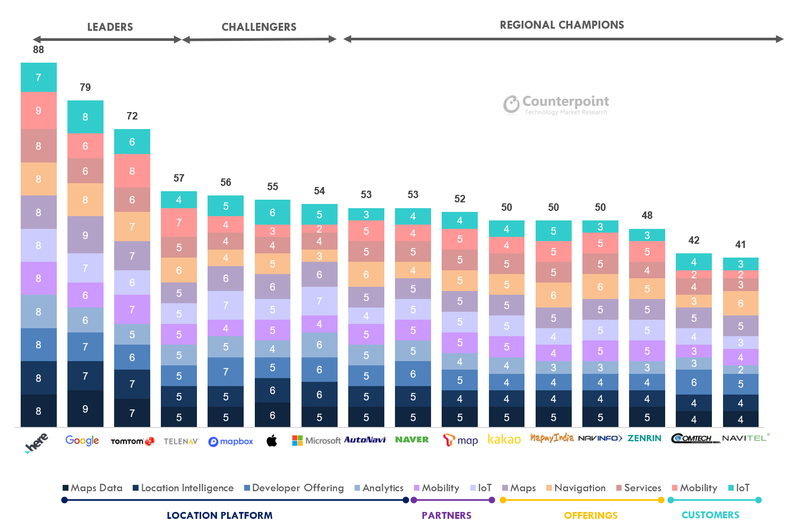 As per the latest report “Location Ecosystems H1 2018 Update” by Counterpoint Research, location platforms are evolving to become highly modular, as mapping firms leverage cloud infrastructure, advanced development tools and open partnership models. The industry is undergoing a huge transformation as map providers are moving to a platform-centric approach beyond just selling maps and navigation solutions for use by auto makers and for device makers. New services and experiences are being enabled by combining location-centric intelligence to the existing map data and leveraging analytics engines to process streams of real-time location intelligence. The new generation location platforms are formed by grouping modules of rich maps data, location intelligence, analytics and services. Research Director, Mr. Peter Richardson, highlights, “Google continues to lead in terms of access to billions of active map users, which enriches map database through search, POI and basic navigation. It has been focusing on its mapping capabilities to have more detailed and personalized POI and LBS based monetization, however, many potential partners are not open enough to share valuable data and give Google a cut as they get bigger. 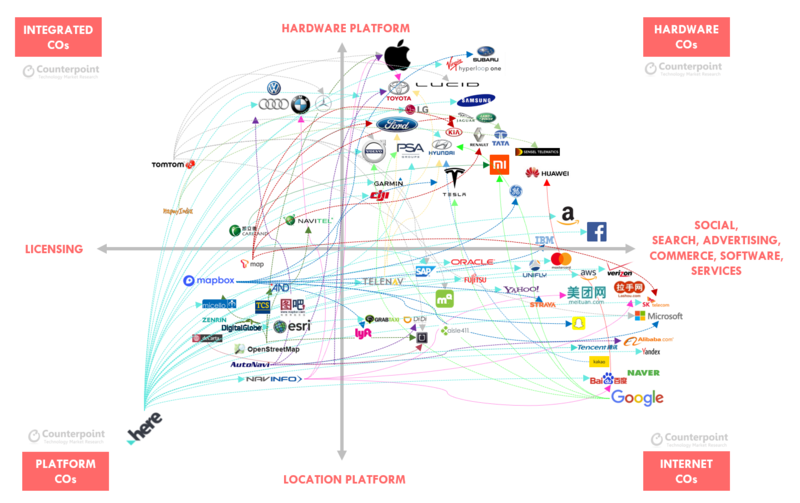 This makes player such as HERE, Mapbox, TomTom more relevant as potential partners to license maps while not exposing data to someone like Google which could easily become their competitor. 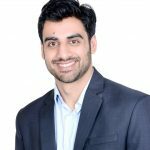 Commenting on third ranked location platform player, Senior Analyst, Hanish Bhatia, highlighted, “TomTom’s consumer hardware business (mostly PNDs, wearables, etc), has witnessed significant drop from a peak of 60% contribution to revenue in 2014 to almost 30% in 2018. However, Telematics business remains a bright spot with telematics subscriber base closer to reaching a million subs milestone now. Also, their DSS (Data, Software & Services business is picking up, with key wins from connected car services from Korea brands. Apart from that, mapping API integration into Microsoft’s Azure IoT Platform for Azure Maps has opened TomTom mapping platform indirectly to millions of Microsoft developers. The comprehensive – Global Location Platforms Evaluation & Analysis Report from our Emerging Tech Opportunities (ETO) service is available to subscribing clients and can be downloaded here. The report takes into account variety of metrics such as richness of database, location intelligence loopback, analytics engine, different location solutions, services, business model approach as well as customer, investor and partner traction across different verticals.